'Hello Europe!" 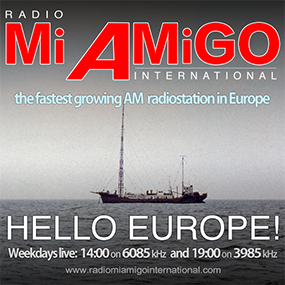 - our daily live presented programme- airs on weekdays from Monday till Friday, featuring stories, charts and music from the Golden Era of Offshore AM Free Radio. As always, remarks, reports and/or requests are welcome. All direct email addresses can be found from the DJ's profile pages.